Emily Feeney was a swimming coach at Malvern Prep. A former counselor and swim coach at Malvern Prep School was arrested Wednesday on charges of sexually assaulting a student at the private, all-boys high school. 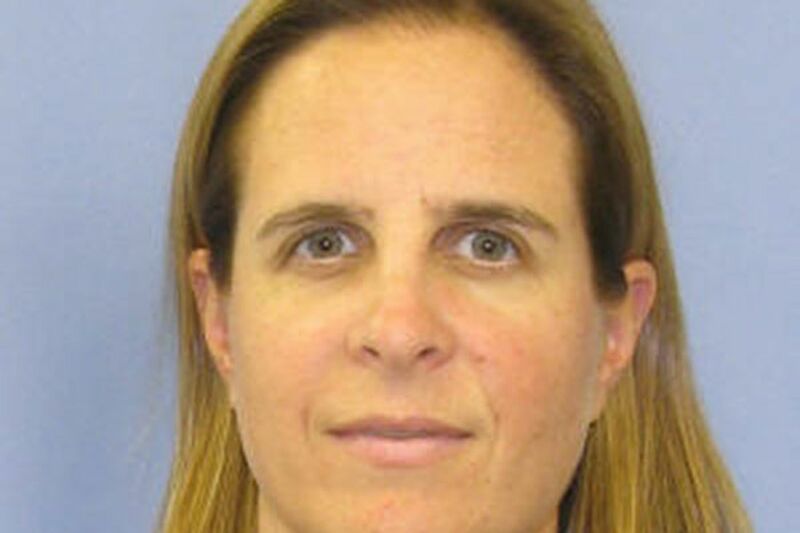 Emily Feeney, 40, of Wayne, is accused of attempting to seduce a 16-year-old student swimmer by various means while working as the school's director of college counseling, including promising to help him secure admission to Harvard University, the Chester County district attorney said Wednesday. Feeney was charged with institutional sexual assault, corruption of minors, and related charges. Starting in the summer of 2014, Feeney allegedly sent the boy "highly sexualized" text messages and emails, including photos of herself in states of undress. She allegedly also kissed the boy. He repeatedly told her to stop, the district attorney said. Feeney, who formerly worked at Princeton University and was hired by Malvern Prep in 2013, has been fired by the school, the district attorney said. "I'm not interested in you end of story I'm 16 I'm not into you," the student wrote in one message to Feeney, according to the criminal complaint. When Feeney put the boy forward as a candidate for the Harvard swim team and received a favorable email back from Harvard personnel, she allegedly wrote to the student, "You . . . owe me big time. And no high fives." Feeney appeared to have sent the boy a series of emails on her school email account in January begging him to talk to her and threatening to call him into her office, according to the criminal complaint. "To not say hello when we pass is not right," she wrote. A following email read: "You are gorgeous and this is killing me. Please talk to me." This is the fourth such arrest in Chester County this summer. A teacher at the Collegium Charter School in Exton; a teacher at the Phelps School, an all-boys school in Malvern; and the head of the Concept School, a private school for children with learning or social difficulties in Thornbury Township, were all arrested in June and July on charges related to sexual abuse of students. "As schools prepare for the start of classes, this serves as an important reminder that certain safeguards should be in place to protect students," District Attorney Thomas Hogan said in a statement. Feeney previously worked in admissions at Princeton University, Barnard College, and Columbia Business School, where she also coached the women's swim team, according to a 2013 interview with her on the Friars Lantern, Malvern Prep's student-run news site. Her father, brother, and other relatives attended Malvern Prep, she said then. "I hope to give students all the support and guidance they need through the sometimes confusing world of college admissions," she said in that interview. Feeney was arraigned Wednesday and posted bail, which was set at $75,000. A hearing was scheduled for Sept. 2.